Posted 1/22/2019 7:25am by Core Committee. We haven't received confirmation from the farm on their packing list this week, so the share will be a surprise! Expect a mix of winter produce, along with other meat, dairy, and pantry items. 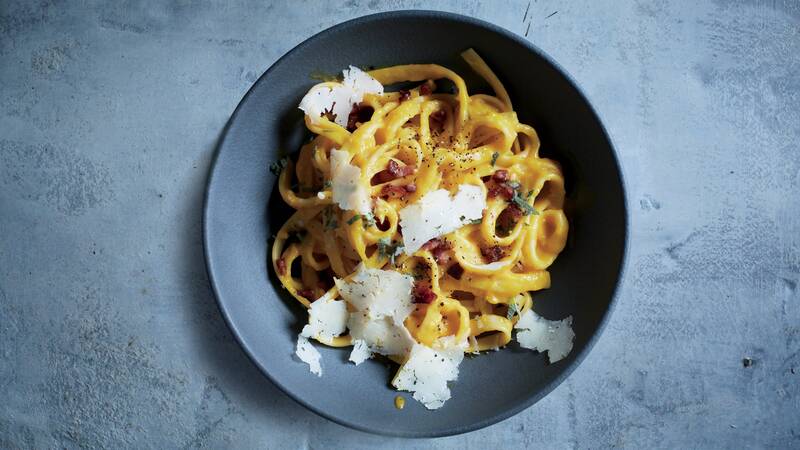 Turning squash into a creamy pasta sauce is one of my favorite comfort recipes in the winter. This take on an egg-less carbonara creates a silky sauce in blender. We hope everyone is staying warm this week! We're looking forward to another round of winter vegetables and pantry goods from our farm today. Don't forget to bring bags to carry your share home in! Please note: We updated the first volunteer shift to start at 2:30pm due to a later CSA drop off time. And don't forget, if you haven't signed up for your volunteer shift for the winter season yet, be sure to do so here. For decades, family farms and ranches were handed down to men. Now, as mechanization and technology transform the ranching industry, making the job of cowboy less about physical strength — though female ranchers have that in spades — and more about business, animal husbandry and the environment, women have reclaimed their connection to the land.